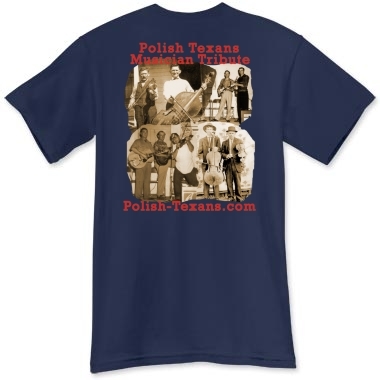 1st Prize : Polish Music Gift Box containing 5 CD’s and a T-Shirt – Retail Value: $100.00 sponsored by Brian Marshall, Texas-Polish Danceband Fiddler, Polish American Journal On-Line Bookstore, The Choir of St. Stanislaus Catholic Church in Chappell Hill, Texas and Polish Heritage Gift Shop. 2nd Prize: 3 Polish Music CD’s – Retail Value: $45.00 sponsored by Brian Marshall, Texas-Polish Danceband Fiddler, and Polish American Journal On-Line Bookstore. We will announce our next sweepstakes sometime around the middle of next year. 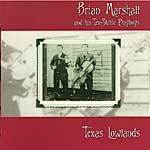 Texas Lowlands cd by Brian Marshall and the Tex-Slavic Playboys. Traditional Polkas, songs and obereks as played by a modern Texas-Polish dance band. Featuring Grasshopper Polka, Flat Lake Special, Wiesniak Oberek, Baily Komin, Pije Kuba and more songs. CD courtesy of Brian Marshall, Texas-Polish Danceband Fiddler. Visit Brian’s MySpace Page. 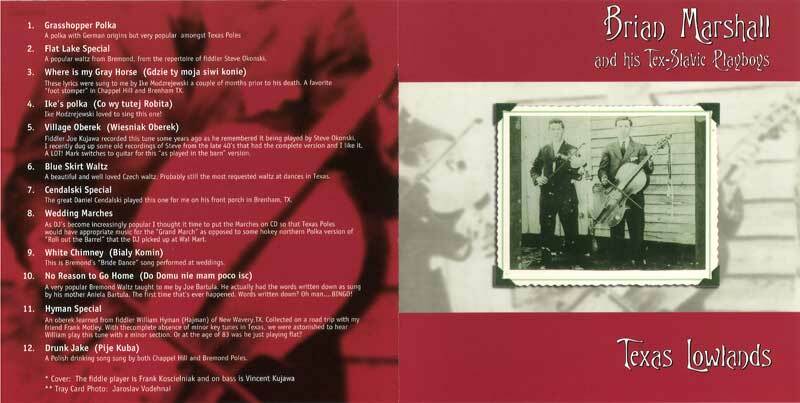 Texas Polish Roots cd by Brian Marshall and the Tex-Slavic Playboys. Featuring Helena Polka, Panni Matka, Kujawiak, Rose Garden Polka, Chappell Hill Special, Kuba’s Wedding Waltz and more songs. Traditional Religious and Folk Carols performed Old Country Style. Featuring Po Kolêdzie, Witaj Jezus, Wesoly Nowinê, Sliczna Panienka,Narodzil Sie Jezus, Pójdzmy Wszyscy Do Stajenki, Mesyjarz Przyszedl and many more songs. CD courtesy of Polish American Journal On-Line Bookstore. A great place for all of your Christmas shopping. Traditional Religious and Folk Carols performed Old Country Style. Featuring Wsrod Nocny Ciszy, Dzisiaj w Betlejem, W zlobie lezy, Bog sie rodzi, Lulajze Jezuniu,Gdy Sliczna Panna, Przybiezeli do Betlejem and many more songs. 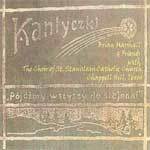 Kantycki cd by Brian Marshall & Friends with The Choir of St. Stanislaus Catholic Church in Chappell Hill, Texas. CD courtesy of The Choir of St. Stanislaus Catholic Church in Chappell Hill, Texas. Proceeds from the sale of this cd benefit the completion of the pipe organ at St. Stanislaus Catholic Church in Chappell Hill, Texas. For more information, call the church office at 979.836.3030. 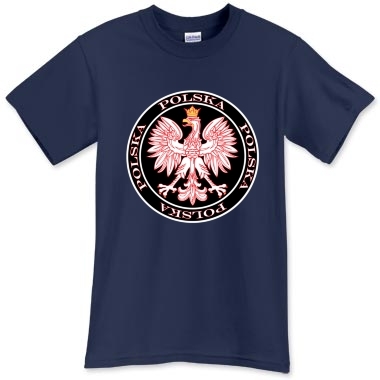 3rd Prize: $30.00 Cafepress gift certificate sponsored by Polish Heritage T-Shirts and Gifts . Use this gift certificate to buy a custom t-shirt, hoodie, mug, bumper sticker or one of hundreds of other apparel and gift products at Cafepress. 4th Prize: $20.00 Amazon.com gift certificate sponsored by Polish Heritage Music and Videos. Choose from millions of books, movies, music and other merchandise for sale at Amazon.com and pay with this gift certificate. 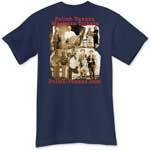 Sweepstakes entries valid from October 1, 2008 until December 10, 2008. Four (4) prize winners will be selected in a random drawing on or before December 20,, 2008 from among all eligible entries received.